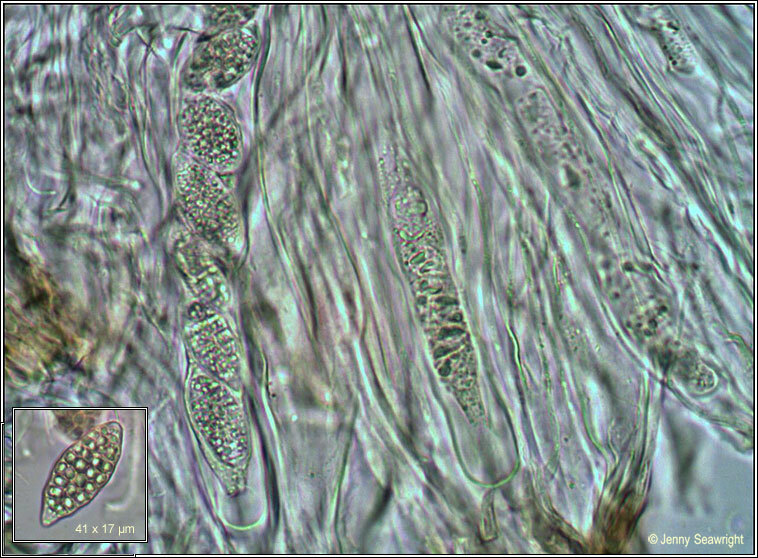 Previously regarded as a morph of Leptogium gelatinosum. 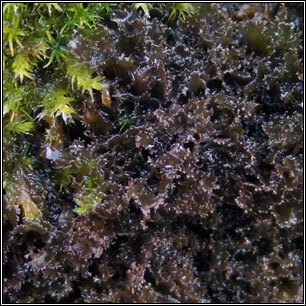 Dark brown or reddish-brown thallus. Small, much divided lobes with fimbriate margins. The marginal extensions are flattened and never cylindrical. Apothecia red-brown or brown. Isidia are absent. Ascus clavate, apical dome with darker axial tube. Usually 8-spored. 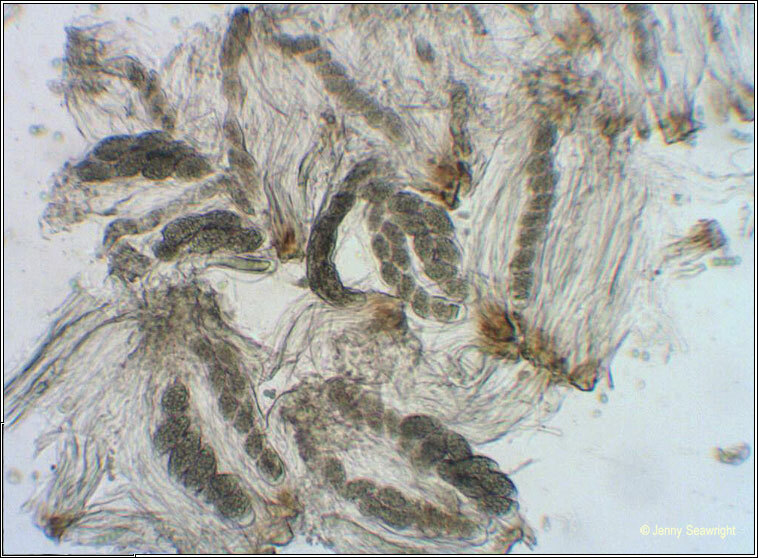 Muriform spores 22-42 x 11-17 µm. 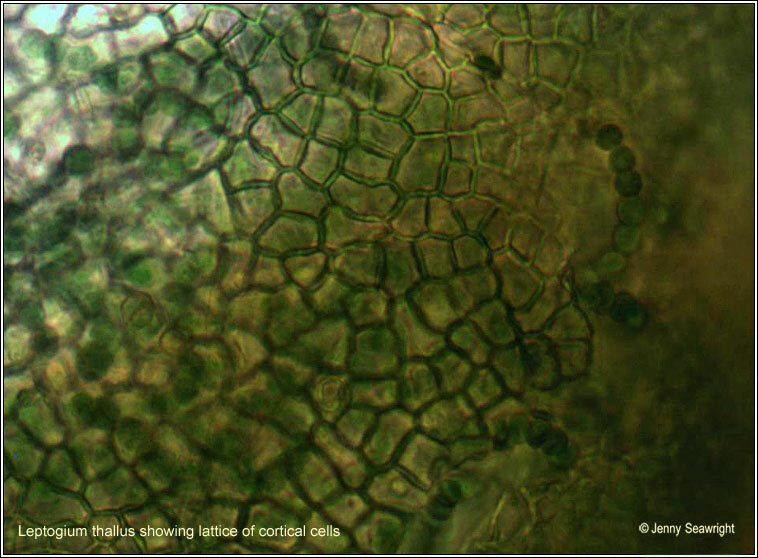 Micro photographs below. 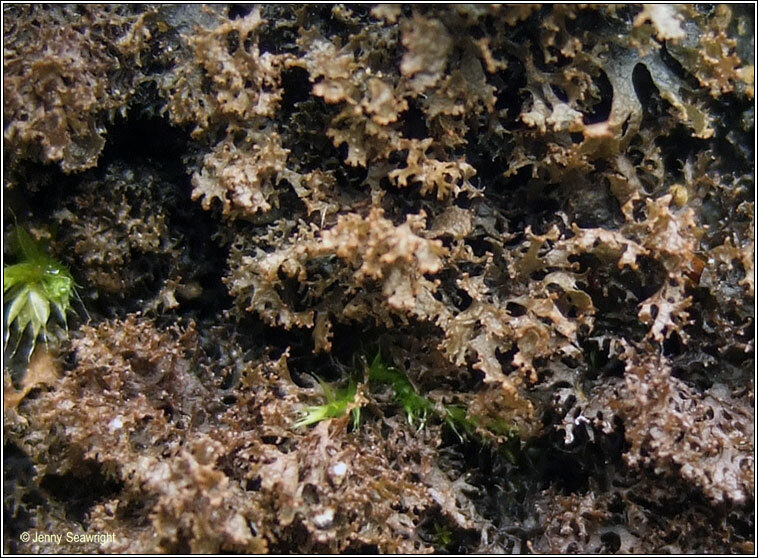 Occurs among moss on basic to calcareous substrata. 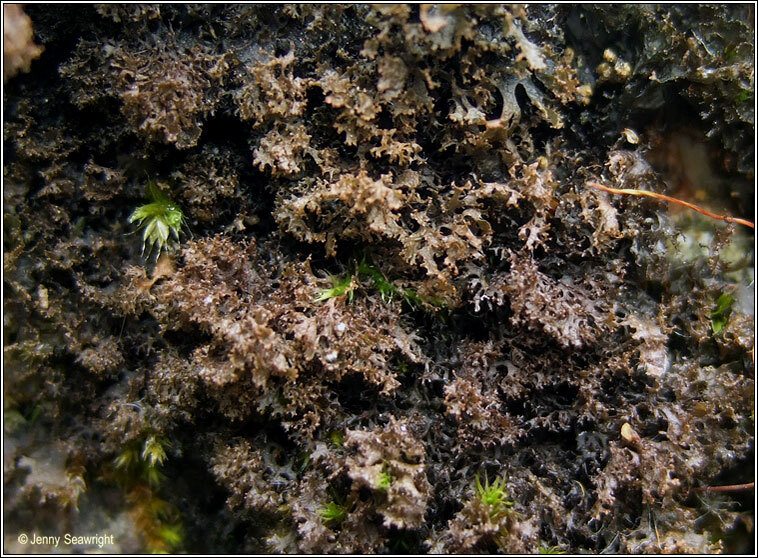 It is a recently recognised species and distribution is uncertain. 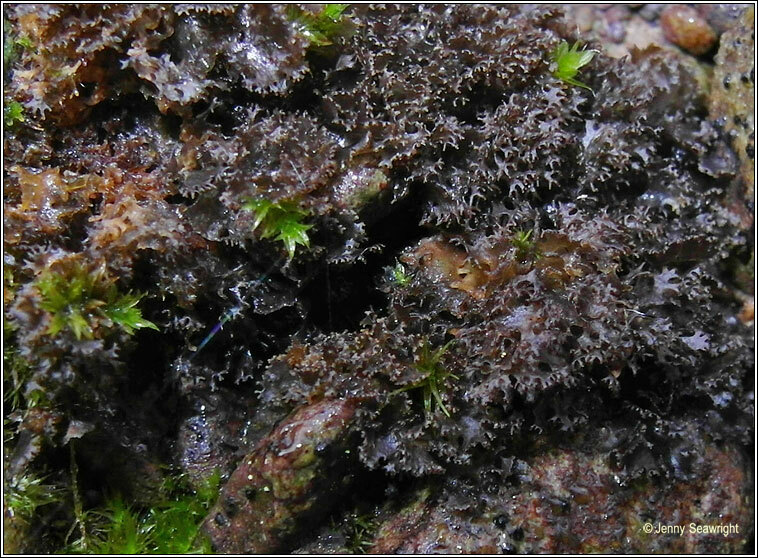 Similar: Leptogium lichenoides. Cylindrical marginal isidia.